Cabrera, N. L. (2014). But we're not laughing: White male college students' racial joking and what this says about "post-racial" discourse. Journal of College Student Development , 55(1), 1-16. Abstract: This study critically analyzes White male college student narratives regarding racial joking. Through semi-structured interviews, 29 participants described a pattern of behavior and rationalization: they heard and told racist jokes frequently; the jokes were framed as not racist; and the jokes were told only among White people, because the participants viewed minorities as overly sensitive. These students were far from post-racial (i.e., in a state where race no longer matters), despite the prevalence of this discourse, and this highlighted a shared responsibility in the perpetuation of racist practices among joke tellers, listeners, and institutions of higher education. Cabrera, N. L. (2014). Exposing whiteness in higher education: white male college students minimizing racism, claiming victimization, and recreating white supremacy. Race Ethnicity and Education , 17(1), 30-55. Abstract: This research critically examines racial views and experiences of 12 white men in a single higher education institution via semi-structured interviews. Participants tended to utilize individualized definitions of racism and experience high levels of racial segregation in both their pre-college and college environments. This corresponded to participants seeing little evidence of racism, minimizing the power of contemporary racism, and framing whites as the true victims of multiculturalism (i.e. 'reverse racism'). This sense of racial victimization corresponded to the participants blaming racial minorities for racial antagonism (both on campus and society as a whole), which cyclically served to rationalize the persistence of segregated, white campus subenvironments. Within these ethnic enclaves, the participants reported minimal changes in their racial views since entering college with the exception of an enhanced sense of 'reverse racism,' and this cycle of racial privilege begetting racial privilege was especially pronounced within the fraternity system. © 2012 Taylor & Francis. Cabrera, N. L., Meza, E. L., Romero, A. J., & Rodríguez, R. C. (2013). "If There is No Struggle, There is No Progress": Transformative Youth Activism and the School of Ethnic Studies. Urban Review , 45(1), 7-22. Abstract: In the wake of the Tucson Unified School District dismantling its highly successful Mexican American Studies (MAS) program, students staged walkouts across the district to demonstrate their opposition. Student-led walkouts were portrayed as merely "ditching," and students were described as not really understanding why they were protesting. After these events, a group of student activists called UNIDOS organized and led the School of Ethnic Studies. This was a community school dedicated to teaching the forbidden MAS curriculum. In this article we present counternarratives from organizers, presenters, and participants in the School of Ethnic Studies. These narratives demonstrate the transformative resistance of students who created their own form of liberatory education. Our analysis highlights how student organizers led the creation of an autonomous, community-based educational space to allowed young people to engage in political analysis, self-reflection, and strategic organizing. We conclude with the implications for Ethnic Studies, urban education, and counternarrative. © 2013 Springer Science+Business Media New York. Cabrera, N. L., Meza, E., Romero, A. J., Rodriguez, R. G., Cabrera, N. L., Meza, E., Romero, A. J., & Rodriguez, R. G. (2013). If there is no struggle, there is no progress: Transformative youth activism and the School of Ethnic Studies. Urban Education Review , 1(45), 7-22. Cabrera, N. L. (2012). Working through Whiteness: White, male college students challenging racism. Review of Higher Education , 35(3), 375-401. Cabrera, N. L., López, P. D., & Sáenz, V. B. (2012). Ganas: From the Individual to the Community, and the Potential for Improving College Going in the "Land That Texas Forgot". Journal of Latinos and Education , 11(4), 232-246. Abstract: This study explores college-going ganas in the South Rio Grande Valley of Texas within the context of Frierian liberatory praxis. During focus groups, current and former high school students discussed their experiences developing ganas regarding college going and discussed how parental support was integral to ganas formation. The participants also identified structural barriers preventing ganas from becoming college going (e.g., teachers handcuffed by standardized testing). Students wanted to change these conditions, demonstrated the ability to organize, but had also been taught that they were incapable of creating social change. Implications are discussed. © 2012 Copyright Taylor and Francis Group, LLC. Santos, J. L., Cabrera, N. L., & Fosnacht, K. J. (2010). Is "race-neutral" really race-neutral? : Disparate impact towards underrepresented minorities in post-209 UC system admissions. Journal of Higher Education , 81(6), 675-701. Abstract: Authors examine the proportion of undergraduate applications, admissions, and enrollments preceding, during, and after Proposition 209 while accounting for the relative growth in University of California eligibility for underrepresented minorities (URMs). They employed standard deviation analyses to measure dispersion of the URMs to non-URMs. Results suggest that disparate impact towards URMs persists, the magnitude is large, and affirmative action alone is insufficient to ensure an equitable admissions process. Copyright © 2010 by The Ohio State University. Cabrera, N. L., & Leckie, J. O. (2009). Pesticide risk communication, risk perception, and self-protective behaviors among farmworkers in california's salinas valley. Hispanic Journal of Behavioral Sciences , 31(2), 258-272. Abstract: Agricultural pesticide use is the highest of any industry, yet there is little research evaluating farmworkers' understandings of the health risks chemical exposure poses. This study examines pesticide education, risk perception, and self-protective behaviors among farmworkers in California's Salinas Valley. Fifty current and former farmworkers were interviewed for this research. Despite several potential barriers to risk communication (e.g., language differences and nonuniform methods of pesticide safety training), the respondents understood many of the potential health consequences of exposure while holding elevated levels of risk perception relative to the general public. They received information on the health effects of pesticide exposure from both grower-based training and personal social networks; however, the respondents continued to participate in unnecessarily risky behaviors. © 2009 Sage Publications. Hurtado, S., Cabrera, N. L., Lin, M. H., Arellano, L., & Espinosa, L. L. (2009). Diversifying science: Underrepresented student experiences in structured research programs. Research in Higher Education , 50(2), 189-214. Abstract: Targeting four institutions with structured science research programs for undergraduates, this study focuses on how underrepresented students experience science. Several key themes emerged from focus group discussions: learning to become research scientists, experiences with the culture of science, and views on racial and social stigma. Participants spoke of essential factors for becoming a scientist, but their experiences also raised complex issues about the role of race and social stigma in scientific training. Students experienced the collaborative and empowering culture of science, exhibited strong science identities and high self-efficacy, while developing directed career goals as a result of "doing science" in these programs. © 2008 Springer Science+Business Media, LLC. Cabrera, N. L., & Cabrera, G. A. (2008). Counterbalance assessment: The Chorizo Test. Phi Delta Kappan , 89(9), 677-. Hurtado, S., Eagan, M. K., Cabrera, N. L., Lin, M. H., Park, J., & Lopez, M. (2008). Training future scientists: Predicting first-year minority student participation in health science research. Research in Higher Education , 49(2), 126-152. Abstract: Using longitudinal data from the UCLA Cooperative Institutional Research Program (CIRP) and Your First College Year (YFCY) surveys, this study examines predictors of the likelihood that science-oriented students would participate in a health science undergraduate research program during the first year of college. The key predictors of participation in health science research programs are students' reliance on peer networks and whether campuses provide structured opportunities for first-year students even though only 12% of freshmen in the sample engaged in this activity. These experiences are particularly important for Black students. The findings inform efforts to orient students at an early stage, particularly under-represented minorities, toward biomedical and behavioral science research careers. © 2007 Springer Science+Business Media, LLC. Hurtado, S., Han, J. C., Sáenz, V. B., Espinosa, L. L., Cabrera, N. L., & Cerna, O. S. (2007). Predicting transition and adjustment to college: Biomedical and behavioral science aspirants' and minority students' first year of college. Research in Higher Education , 48(7), 841-887. Abstract: The purpose of this study is to explore key factors that impact the college transition of aspiring underrepresented minority students in the biomedical and behavioral sciences, in comparison with White, Asian students and non-science minority students. We examined successful management of the academic environment and sense of belonging during the first college year. Longitudinal data were derived from the Higher Education Research Institute's (HERI) 2004 Cooperative Institutional Research Program (CIRP) Freshman Survey and the 2005 Your First College Year (YFCY) Survey. Using a reformulation of the integration model (Nora, Barlow, and Crisp, 2005), we find concerns about college financing, negotiating family support and responsibility, and campus racial dynamics (perceived and behavioral) affect student adjustment and sense of integration in the first year. © 2007 Springer Science+Business Media, LLC. Cabrera, N. L., & Padilla, A. M. (2004). Entering and Succeeding in the "Culture of College": The Story of Two Mexican Heritage Students. Hispanic Journal of Behavioral Sciences , 26(2), 152-170. Abstract: In this retrospective study, the academic resilience of two individuals of Mexican heritage who graduated from Stanford University is described. The respondents (a woman and a man) now in their early 20s came from home backgrounds of extreme impoverishment and adversity. By means of in-depth interviews the challenges the two respondents faced in school beginning in kindergarten and continuing through their graduation from Stanford is described. Both respondents attribute their academic success to the support given them by their mothers and their personal motivation to succeed in school; however, the authors show that this was also possible because the respondents acquired knowledge of the "culture of college" that is essential for the transition from high school to college. The authors describe the processes of this information transmission and how even though it changed the life of their respondents, it has not altered the life of their family. Victory, K., Reynolds, K. A., Cabrera, N. L., Larson, D., Burgess, J. L., Beamer, P., Victory, K., Reynolds, K. A., Cabrera, N. L., Larson, D., Burgess, J. L., Beamer, P., Victory, K., Reynolds, K. A., Cabrera, N. L., Larson, D., Burgess, J. L., & Beamer, P. (2014, April). Comparison of Chemical and Microbial Contaminants in Tap, Bottled and Vended Water in a U.S.-Mexico Border Community . 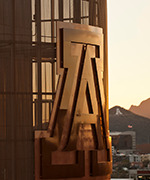 UA Poster Forum. Tucson, AZ.